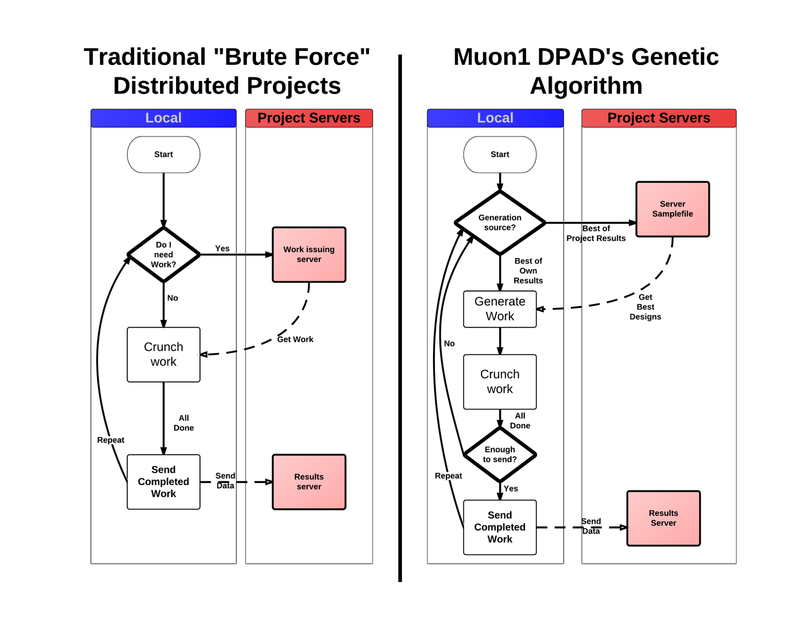 Muon1 is one of the very few projects that doesn't follow the traditional 'brute force' approach. In most projects, there's a fixed batch of work. You request some work from the project, process it, and send it back, then request some more. You can only work if you're internet connected, usually. 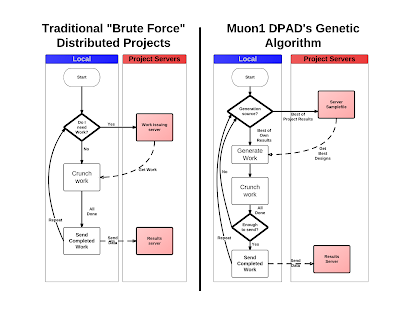 Muon1, by contrast uses a genetic algorithm method. The workspace for each lattice (sub-project) is so huge, and each one so time-intensive, that to attempt a brute force method would be pointless. Instead, the client focuses on what works, and tries to make it work better. Starting with random designs, the client tweaks things to make things better, using its own results as a baseline. These results, when returned, can be used to compile team or project-wide 'best design' lists, which the client can incorporate in its data. It's an intelligent way of analysing a problem, following design leads, rather than mechanically processing things sequentially. It also allows for human interaction since work is not dictated, participants are free to try their own designs. Here's a visual representation of the differences. It's also incredibly modular. To try another design theory, a new lattice file is all that's needed, which tells clients the parameters for generating simulations. The time between thinking of a new design idea, to having the first results come in can be as little as 12 hours. It's a level of flexibility no other project can touch. The more complex answer is it tracks particles given off by a rod that has been struck with a high-energy proton beam. 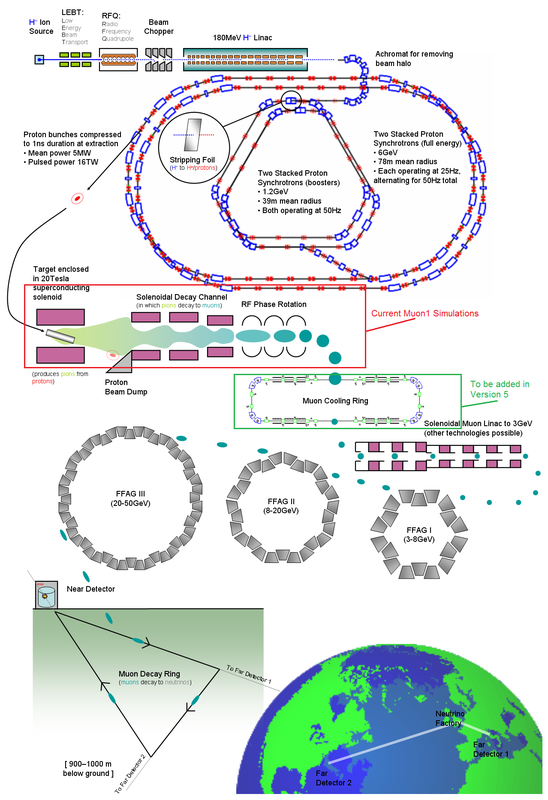 It follows tens of thousands of them, as they move down a series of components, which attempt to focus the particles and get them to the right energy. It works in 0.01nanosecond (0.0000001 of a second) steps, as they go through the design. Then, when it's done, it tweaks the design based on that result, and previous results, and repeats. Or join the facebook group, and get weekly updates on progress, as well as other news.